[Princess of Seven Gems]This title is an unofficial, amateur translation. 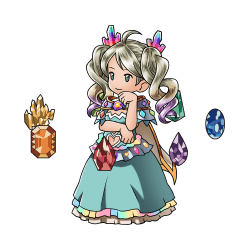 Daughter of a noble, De La Fille prides herself on her near-flawless gem collection. She sets out on the sky in search of the one shimmering gem that slipped through her grasp. Seventh Agony Massive Light damage to a foe. Duration: 1 hit for 1 hit. Counter attacks grant 5% charge bar per hit. counter damage increased to 200%-700%. 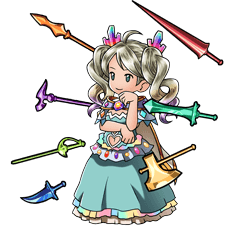 ⇧ Lvl 75This skill is enhanced at level 75. 150% Light damage to all foes (Damage cap: ~430,000). 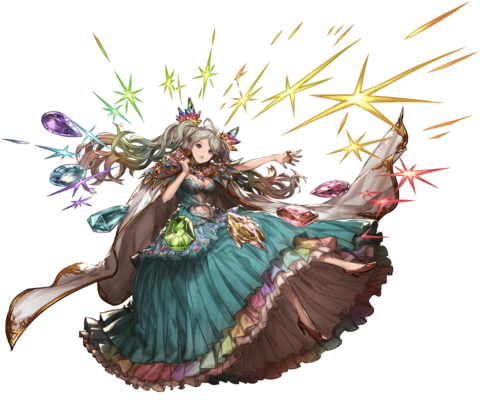 All allies gain RevitalizeRecover HP each turn. Boost to charge bar if HP is full. Shares a Cross-Fate Episode with Therese (Event). Gains +330 HP after completing one Cross-Fate Episode. 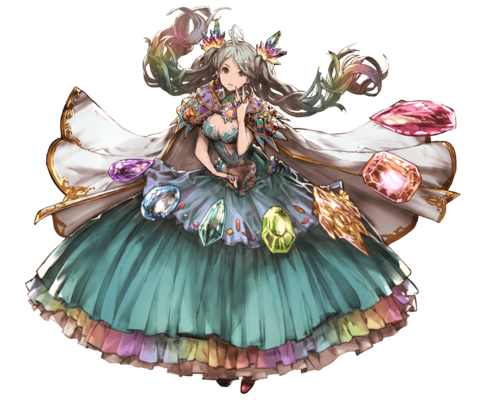 Does not stack with other identical Extended Mastery Support Skills, only the most powerful one applies.